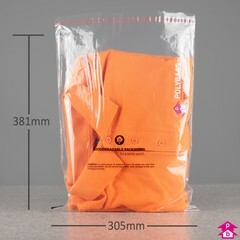 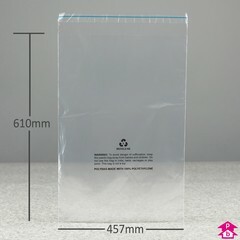 Self-sealing safety bags with a peel and seal adhesive strip, with 6mm perforation air holes to reduce risk of suffocation and a printed warning notice (PWN). 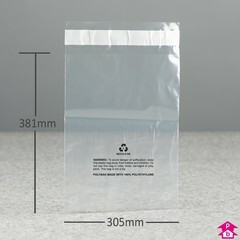 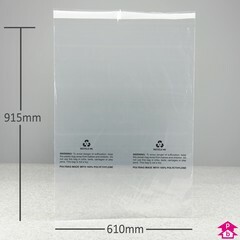 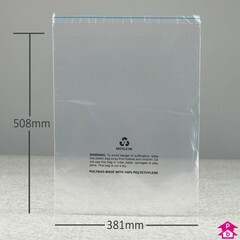 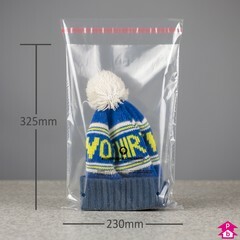 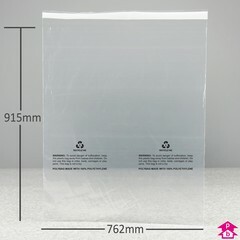 Particularly suitable for Amazon merchants as designed to conform with Amazon.co.uk font-size and wording seller guidelines for clear peel and seal polythene bags. 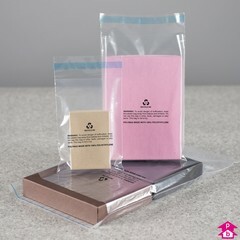 This range also features 2 biodegradable (oxo-degradable) options using oil-based polymers with an additive that acts as a catalyst to accelerate the degradation process.